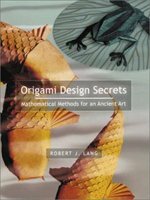 Have you heard Lang is planning to release a second edition of this book? There really aren't many changes, but I've heard he will take out the chapter on algorithms and go deeper into box-pleating. Besides that, and some new diagrams, it will be pretty much the same.